I have had a couple of reader questions this morning… I addressed them on Facebook but thought it would good to be able to find them later on so here they are! Ok so I was just asked about stacking at Target so to clarify here. You can stack a Target Q (from an insert, mobile or IP) with a manufacturer’s coupon with Cartwheel, with a Red Card if you have one. Also If you have a Pharmacy Reward it can be added on to this. So if you are using the $10 off of $50 grocery q you may use it with the Target coupon for I Can’t Believe It’s Not Butter (found on their website) with the manufacturer’s one from this past weekend, with Cartwheel. This particular Target mobile questions has 14 offers attached to it. As you can see I have used a few of them already. But I can still use it for the yogurt. Each offer attached to it can be used once. So a while back I shared with you the new organizer I was getting, it came I outgrew it and ordered the newest design. Well I have Paired with GlowGirl and you can now save 10% on her etsy shop! That is right you can now get one of your own and save doing so! Just use Coupon Code DAVIDSMOMMY at check out and save 10%. Click here to check them out! I got a 6 inch Double one with 70 of the 4×6 folders! As our seasons change sale cycles will also change. Many of you may notice the increase in the number of coupons for canned goods such as soups and chili in the inserts this week, along with coupons for ingredients for baking! Now is the time of year to begin stocking up on those items. So watch your sale circulars for deals on all of those great things that are Fall and Winter! This is also a great time of year to restock your cleaning supply’s and air fresheners! Here is a great source for tracking the sale cycles from Coupon Project, and don’t forget to track your stock up prices with Money Saving Mom! Ok so I have tried A LOT of ways to organize my coupons… And while all of them work different ones work for different people and your method may have to change with your life. And well David is now 2 and taking a bulky binder into the store and trying to use it and keep him in the cart isn’t working anymore! I have also worn out a many of binders! Remember the number one way to be successful with coupons is keeping them organized! So while I work today I have a guest post for y’all! 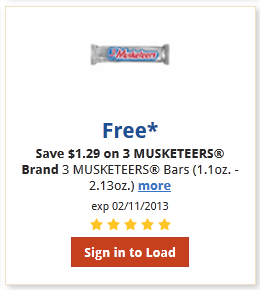 What is Walgreens Balance Reward Points? Are you confused by Walgreens Balance Rewards Program? Hopefully this will clarify everything for you. Walgreens balance rewards program is a new program where you can earn points for specific items your buy in the store and online. Every week when the new ad comes out you will see new items with point earning offers. To sign up for this program, head here and they will send you a Balance Reward card. You can use this card when you shop and don’t worry if you forget the card, they can look you up by phone number so remember to register your card ASAP. So how do you earn points? Participate in Walk with Walgreens to earn 10 points for every mile you walk. So now that you know how to get points and how much the point are worth. Your gonna want to know how many points you have. Right? Well if you look at the bottom of your receipt you will see a summary. I also recommend you download the app, you can check everything about your account on that. So do these points expire? Yes, approximately 36 months from when you earn them, but if you have no account activity for 6 months, then they will expire faster. So watch those dates! So now what about Register Rewards? Register Rewards is staying for now, so in your weekly ad you will see deals for both Register Rewards and Balance Rewards. So here is the fine print about coupons, register rewards and balance rewards working together. -Coupons do not affect the number of points you get on advertised Balance Rewards offers. So just keep on using your coupons like you normally would, and you’ll still receive the amount of points advertised for the item you’re buying! -There is not a limit per transaction like there is with the Register Rewards. You can buy as many items per transaction as you’d like, and get points for each item. For example: If you buy 4 deodorants that each earn you 1,000 points, you’ll earn a total of 4,000 points! -However, on the Buy $ Get Points deals, you’ll have to do separate transactions. So if the deal is Buy $15 worth of something Get 5,000 points, you can only do one per transaction. But if it is buy a specific item Get 5,000 points, you can do multiple per transaction. -If you pay with points, you will NOT earn any points on your purchase. -If you pay with points, your Register Rewards WILL print. -If you pay with Register Rewards, you WILL earn your Balance Rewards points. Now this is a summary of how this works, but it like everything in life it always changes. So if you know something else about this program. Please share with me so I can pass along the info! This is an oldie but goodie from my file of posts it will start you off in understanding what can really be done with coupons! What is realistic couponing you ask? Realistic couponing is what everyone not on the television show does, I mean come on who really needs an entire shopping cart full of marshmallows anyways. Realistically one can save anywhere from 90% to 100% at drug stores such as Walgreen’s, CVS, and Rite Aid, I personally aim for 95% so that I am not let down, as for grocery I am still working on that and I aim for 50% at the grocery store. However this is not always possible especially for NEW couponers, also if your family has a special diet there are not always coupons for these items. We eat fairly healthy in our house so I use meal planning to help control the grocery budget. I normally am only able to save about 30% at the grocery store, but I only spend about $75.00 per week on our families groceries. These are items found on the perimeter for the store, anyone familiar with how to shop for healthy items you know that the best items for you are on the stores perimeter and all of the other junk is in the middle.Please remember to shop for your families needs, and only take what you need to last until the next time it is on sale at your stock up price ( stock up price is the lowest price you can get this item for). So in the couponing world it is difficult to find coupons for generic items (except at target) so in most instances name brand is cheaper when paired with a sale and/or coupon. However when shopping for items that you don’t have a coupon for, generic is usually cheaper… But I want to remind you to always read the price tags because this is not always the case, as you can see in the picture above. Remember to look all around, a lot of times the best deal may not be found at eye level of the shelves for instance the best deal here was the name brand on the top shelf. There are times we need something and there are no coupons out for that type of product. 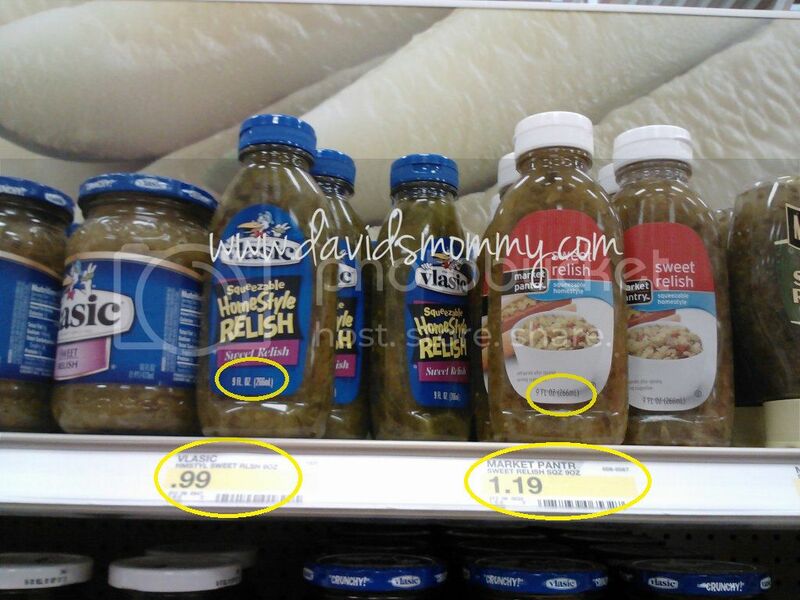 Also, calculate the price per ounce for instance the relish is 9oz, so $0.99 divided by 9oz is $0.11 per ounce on the Vlasic, however Targets brand would be $0.13 per ounce so the better deal is the name brand! And don’t forget to check sale ads and compare prices, both Walmart and Target price match, (you can check there coupon and price match policies here). I always take my qs that will double or triple to a store that offers that and match it with a sale (if possible)! I really am trying to limit my trips to one per week to each store… meaning just one trip to Target, one to CVS, and one to either Kroger, Albertsons, or Tom Thumb! A Price book is used to track what retail is for an item and what your stock up price is for an item, for example my stock up price for cereal is $1.00 per box or less, where retail may be $4.79 per box so I put that down in the price book, I keep my price book in my binder. I use the price book that Money Saving Mom has here on her site, it is a free printable! 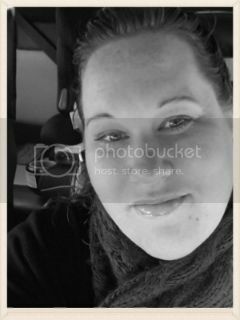 So, there were many errors that an experienced couponer could have picked out of last nights episodes, for instance I know for a fact that several coupons were misused as well as several coupons were fake, we know this because there have been news stories about them as well as they are listed on the Coupon Information Corporation’s (CIC) website! For more information on the errors recent episodes of Extreme Couponing read the article found here. Also many of you may have noticed that one person was dumpster diving for coupons, not only is this disgusting but it is also very ILLEGAL and in many states you may be fined! I like to track my savings just so that I know how much I am saving with my coupons , as you cans see with my Monthly Savings Reports, I do that with the savings tracker found on Coupon Project. There are 9 types of coupons, this post will explain what all of them are and where you can find them! This is a new post so all of you should find some helpful information in it weather you have followed me for some time or not! Manufacturer Coupon: Manufacturer coupons are issued by manufacturers as an advertisement to entice you to buy their products. The most common place to find a mfg. coupon is in the Sunday coupon inserts. SmartSource, RedPlum and P&G will each have inserts in the Sunday paper throughout the month. New subscribers can sometimes sign up for a discount newspaper subscription, I buy mine at my local Dollar Tree, anywhere from 1-4 per week and sometimes I get a freebie delivered from out local paper. Catalinas: Catalina coupons are named after Catalina Marketing who brought us the little box that the coupons print out from at the stores. Catalinas are coupons that print out at the register that are usually handed to you with your receipt. These coupons can be either store coupons or manufacturer coupons (it depends on the store promotions). Hangtags: These coupons are usually found on drinks, jellies, oils, syrups, laundry soaps and anything else that has a “neck” to hang the coupon tag on. Thus the name Hangtags because they “hang” off the product. Peelies: These coupons are placed right on products like a peel away sticker. If you notice a peelie on a product you are buying, make sure you peel off the coupon because they can be used immediately on your purchase. These are normally a mfg. coupon. Never take them off a product that you don’t intend to buy at that time, this is just common courtesy to other Shoppers! eCoupons: These are digital coupons that you will find online. You will pick the coupons that you want to use and then download them onto your shopper loyalty cards. There are many stores that offer eCoupons such as Kroger and Tom Thumb and even Coupons.com has a digital coupons page. These coupons are usually considered a mfg. coupon and cannot be stacked. Internet Printable: These coupons are found on the Internet from from coupon sites like Coupons.com, Coupon Network, SmartSource, Target and RedPlum. Some will be mfg. coupons and some will be store coupons. You are usually allowed to print 2 of each coupon during the month and companies will reset the coupons at the beginning of each month. Coupon Divas has links to the most popular coupon sites with most current coupons available. You can also search a Coupon Database to search for all of the printable coupons we know of that are available on the Internet. This will save you a lot of time searching for them! Not all coupons are created the same and you need to learn how to read one to understand the difference. First we will go through on how to read the text of the coupons and understanding each part of the coupon. In another post, we will go through on how to read the codes at the bottom of the coupon. Coupon Type: There are store coupons and manufacturer coupons. Typically the type will be listed at the top of the coupon.Expiration Date: All coupons will have an expiration date printed somewhere on the coupon. The coupon shown in the example expires on August 31, 2011. You may run across a coupon that states “No Expiration Date.” Most stores will not accept coupons that do not have an expiration date. These are very RARE! If your coupon has expired, don’t toss it! Collect them and send to our military overseas – they can use at the commissary for 6 months after they expire- I post info on this from time to time around the end of the month! Value: The value of the coupon will be clearly printed on the coupon and you should become familiar with “TERMS” to know what must be purchased to receive the value and avoid delays at checkout. Terms: There are conditions regarding the use of coupon such as the quantity needed, specific product, size, etc. in order to receive the value off your transaction. Sometimes the terms will have “ANY” and this means you can use the coupon on any size or item offered by the manufacturer. Suggested Product: I am calling this part the “suggested product” because sometimes, it’s just that. If the “terms” state “any” then you can use it on any item. Typically, the manufacturer will print newer / more expensive items (subliminal marketing). May not be reproduced, purchased, traded or sold. DO NOT COPY coupons. The retailers know better and you are wasting your time and ink to do this. Limit one coupon per purchase of products and quantities stated. This means one (1) coupon per item. Some retailers misunderstand this term and think it’s one coupon per transaction. Nope, 1 coupon= 1 item. Limit of 4 like coupons in the same shopping trip. This one is new and printed on P&G coupons. “Limit One Coupon Per Purchase Per Transaction”.This is printed on most of the manufacturer coupons. Every item you buy is considered a purchase. You can use one manufacturer’s coupon per item. You can also stack an in-store coupon. Every time the cashier hands you a receipt. Sometimes you will be doing multiple transaction during a singleshopping trip. Mostly at the drug stores to roll store rewards. buying the entire inventory at the store in one shopping trip.